Last updated Monday, 9 January 2017 at 02:07:50. First submitted Saturday, 16 February 2013 at 16:10:46 by Patrick L H Brooke. Imported from Campanophile entry 156682 (submitted by ). 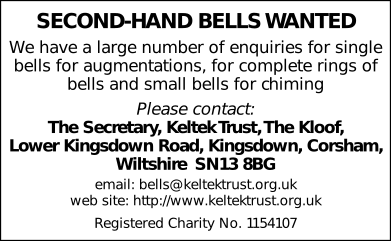 Printed in The Ringing World, issue 5317, page 285. This performance has been viewed 1109 times.